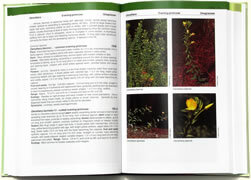 This field guide places special emphasis on the relationships of plants to their environment, to each other, and to wildlife. 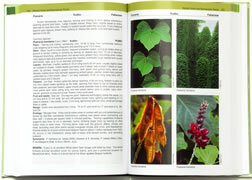 It often offers an assortment of photographs for a single plant, pointing out the distinguishing features of flower, fruit, leaf, or habit. The focus is on plants found in southern forests, including forbs, grasses, sedges, rushes, woody vines and semi-woody plants, shrubs, palms and Yucca, cane, cactus, ferns — and even a few lichen. The University of Georgia Press.